Like in most other parts of the world, there are many shipping companies in China. Despite that, it’s always best to locate one that also provides shipment tracking because it is only then that it will be possible to track the movement of any goods through to the point of delivery. China Post Tracking provides tracking services for customers in different parts of the globe. 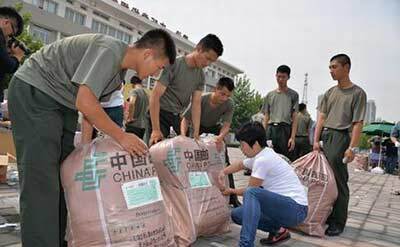 The services provided by the company enable tracking of parcels sent from China through EUB/epacket, China Post, Hongkong Post, and EMS China. Typically, as a receiver you have to log into the sites of each of these individual couriers to keep up with the shipment of your parcel but to make this easier, China Post Tracking provides tools that allow access to all that information from one location. Shipping companies provide customers with services that enable them to keep up with the transportation of their freight regardless of whether those items are meant for business or individual use. This shipment tracking process is quite straightforward, and can be achieved through the use of GPS tracking devices. Such devices can be placed on the vessels being used for transportation, after which authorised users can log in to the relevant site to check on the location of the vehicle at anytime. While there are other ways of shipment tracking, this sort of tracking can be extremely useful to customers transporting temperature or time sensitive products such as food items and clinical trial samples. It can also be helpful during the shipping of high value materials like antiques, jewellery and precious stones. The other method that may be used is tracking the freight shipment itself. Several systems can be applied in this instance, though they ultimately all focus on using a central database in which certain information is entered as the cargo is scanned at different points during the shipping process. These instances may be when the cargo is being moved to another location, or into or out of a particular truck for transport. By tracking the freight, shipping companies can gather information for their own purposes, and the customer can also be kept informed on when and where their shipment was last scanned. The cost of getting goods shipped varies with the shipping company and the weight of goods being transported. Small parcels like letters and documents are usually very light, and therefore easier to transport. For this reason, they don’t cost much to ship. This is unlike the large and bulky packages which take up a lot of space and consequently incur costs that are just as high. Such heavy cargo may also need to be insured which translates to even more expenses, and if they are to be delivered to a rural site, additional charges will be placed as well. To know exactly how much it will cost to ship goods therefore, the sender has to get the cargo weighed after it has been packed. Nevertheless, shipping services are available to all; it doesn’t matter how often one needs to ship, or whether the cargo is high volume or not because regardless of the case, haulage companies will transport the freight to the desired location. Still, it is worth noting that when goods are shipped and delivered to the recipient’s doorstep, the total shipping costs are much higher than if the items are delivered at a central pick up location. Good shipping companies should be able to warn customers of such charges upfront. One of the main benefits of shipment tracking is that it gives customers confidence that their goods will be secure every step of the way. This feature enables them to tell where their shipment is in real time, and with GPS devices, they can also determine the internal temperature of the vehicle transporting the freight –this is something very important where sensitive and perishable goods are involved. Also, tracking helps in dealing with loss of cargo. If the goods are stolen or delivered to a wrong address, the consignee, the shipper, and the shipping company can all be able to find out where the error occurred. This also means that the customer can hold either of the two parties responsible for the loss, while the transporters can protect themselves against unfounded accusations. Shipping companies provide features on their websites that enable cargo recipients to fully exploit shipment tracking resources. All the consignee needs to do is key in their name and container number to locate where their cargo is. In some cases though, additional details such as the origin and destination of the freight may be required. Nevertheless, once this data is entered, the customer can find out how long the cargo will take to get to the intended destination, and therefore prepare better for its arrival. For most shipping companies, providing customers with shipment tracking is now standard practice. Some of these companies even go a step further to enhance the security of the goods being shipped by acquiring the recipient’s signature and making the image available online. While this helps customers ensure that the shipment is only delivered to them, it also shields the carrier and shipping company from individuals who may falsely claim that their cargo did not reach them. In the past few years, it was very difficult to locate a shipment once it was picked by the carrier, and one had to wait for it to be delivered to determine whether the shipping process was successful or not. During this period, it would also take a long time to resolve issues concerning lost packages, as the record-keeping processes were not accurate. It is for such reasons that haulage companies then devised shipment tracking solutions which currently enable swift operations from the time a shipment is picked up to when it is delivered. Owing to such services, cargo can be shipped not just to local destinations, but also to international locations as well. Thus, whether a customer needs to send their goods across the street, or around the world, they can do so assuredly and not have to worry about whether the items will be in safe hands or not. For business people, shipment tracking has also gone a long way into helping them establish loyalty among customers. Nonetheless, to get maximum gains from it, a business has to do some research prior to dealing with any haulage company since only the dependable ones can guarantee steady and reliable shipping services. OK. I give up. Is SAIA run by a bunch of complete morons? Our 8 chairs, under tracking #101879573001 left Orange County several days ago, arrived at Seattle terminal, supposedly loaded on the delivery truck, notified us of the delivery with a 5 hour window and the truck never shows up! Instead, apparently our chairs got loaded onto another truck heading for San Antonio, Texas and then went for a nice visit to Dallas which is apparently where they are currently. This the third time in the last months when we have had a delivery from SAIA. The last two times, one box in each delivery was inadvertently left behind at the warehouse and it took several days to find it and have it delivered. It is apparent that either you have limited English Language skills or simply cannot read a bill of lading. This is beyond frustrating and simply unacceptable. I ordered beginning of January said it was at China Post but see nothing now. My tracking #LK145314815CN. Can you please help me find it? I made the mistake of ordering from fairy season clothing company on Sept 7th. I received 1 package from China in 9 days. 3 packages say they are processing for shipment. It is now October 1st. No movement. I wrote to the tracking company and the business. They said I need to check-in with the usps to see where the packages are. C’money they are still in China and I paid in full 164 dollars and change. You would think better service would be in order. I love the clothes and would love to buy more but never again if this is the customer treatment and response. My tracking number is – LT134423156CN, it says delivered but havent received it, please help!! Can you help track my order number LK962064235CN. I don’t see any news on my order…??? My package said it was delivered, yet it was not received. How do I proceed or figure out where it was left? I order items and it is supposed to come thru China post surface I just want to know wen I should be expecting my items to come BJ14574180613492 I am leaving to Germany at the end of June and it would like my items to be here before I leave the country? I ordered my package the beginning of the month and still says it’s in China why?? I paid extra to get it shipped within 3 days you guys have no contact number and I’m begging to think this tracking service is a joke. Please let me no I spent a lot of money and I need my stuff.!! Hi I made orders on 2/2/2016 and 2/3/16. My orders have still not come in yet and it also won’t let me trck my orders. My name is diajah payne . Track number rv00132406cn , rv0013240073cn, rv001324113cn where they are ?? When i gonna received? The newest status is “Departure from outward office of exchange“. It means, that the parcel will be reviewed for security. After passing this step, the parcel will be sent to the airline. Why is it taking so long for my package to get here…???!!! Hello Shereka, the shipping to china normally takes a long time. The parcel shippment is on the way, we can’t do it faster as it already is. Trying to follow up on an order. It says on the eBay website shipped (on jan 18) when I can expect to arrive I had read that it can take 15 days, so I can look for it feb 8??? Yep this is kinda a realistic forecast. Hi. Can you please track my package for me. Tracking number is LS480457742CN. The system is not working for me. The package is on the way. © 2015-2016 AllinOneTracking.com. All Rights Reserved.